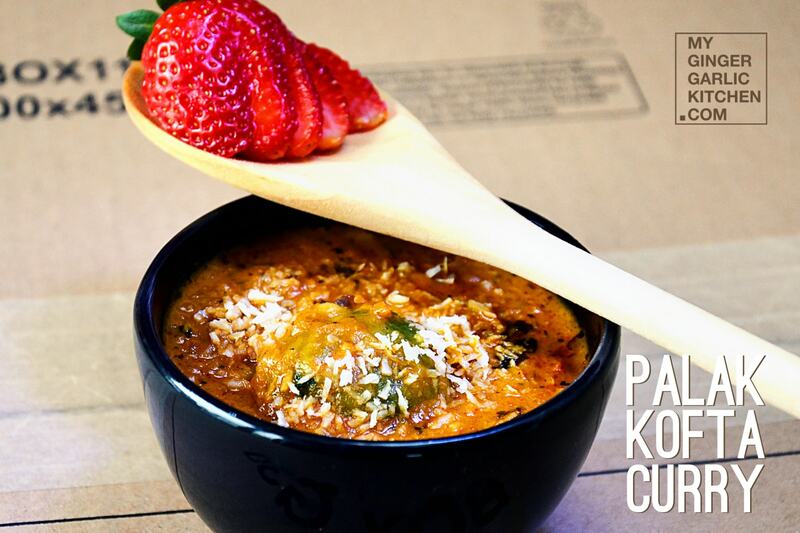 Learn how to make Palak Kofta Curry – Spinach Kofta Curry Recipe – Fried Spinach Dumplings in a Creamy Tomato Sauce with a simple step-by-step recipe. 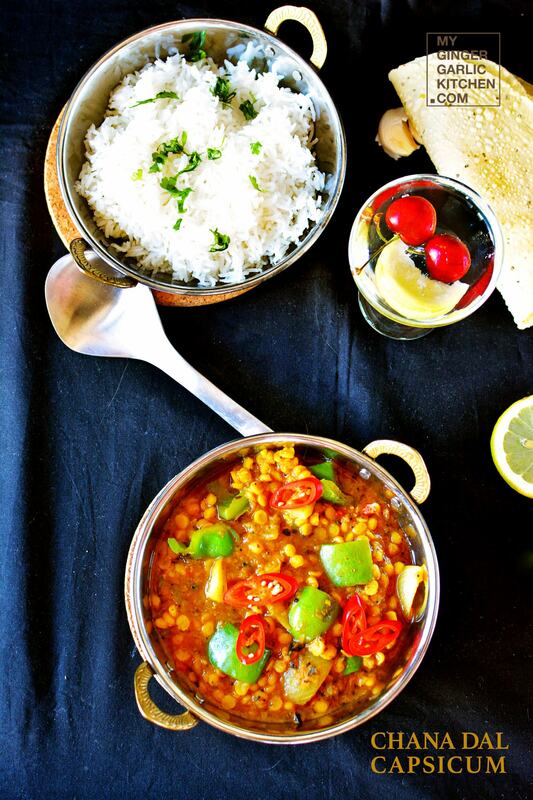 This is a gluten-free, vegan and vegetarian curry. Palak Kofta (spinach kofta curry) Fried Spinach Dumplings in a Creamy Tomato Sauce is a delicious vegetarian curry recipe. Spinach aka palak koftas are deep-fried balls/dumplings. These koftas are prepared with chopped spinach, potato, onion, and gram flour along with spices. Then you deep-fry these koftas. When you add these to a creamy tomato and coconut based gravy, then they make the Spinach Kofta Curry. Adding these delicious spinach Koftas in a creamy tomato gravy ranks them high in nutritional level. Why Spinach Kofta Curry is a delight? Koftas are always so delightful and mouth-watering for everyone, as they are crunchy and full of seasoning. The crispiness of Kofta with a creamy gravy makes it a perfect main dish. How can you keep Koftas (dumplings) crispy? Add your koftas to the gravy just before serving, this would ensure that the crispness would be the same. Palak kofta is a ball, made using boiled spinach, boiled potato, and some spices. You mix all the kofta ingredients and shape them into balls. These balls are then either deep-fried or shallow-fried. You can also bake these balls if you want to healthify them. These koftas have a crispy outer layer and have a smooth melt-in-mouth inner texture. You can serve these spinach koftas as a tea time snack. What is Spinach kofta curry? 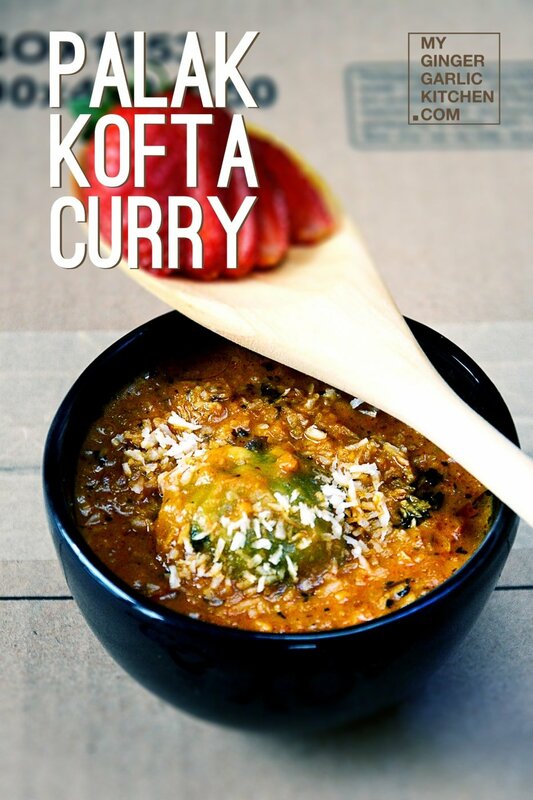 Palak Kofta curry or spinach kofta curry is a timeless, and exotic gravy-based dish from North Indian cuisine. 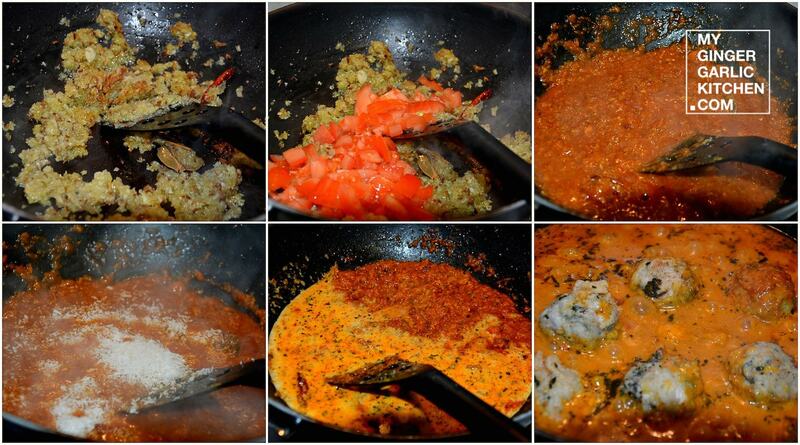 The spinach kofta (dumplings) are then added to a creamy onion and tomato based spicy gravy. How to make Palak Kofta Curry? 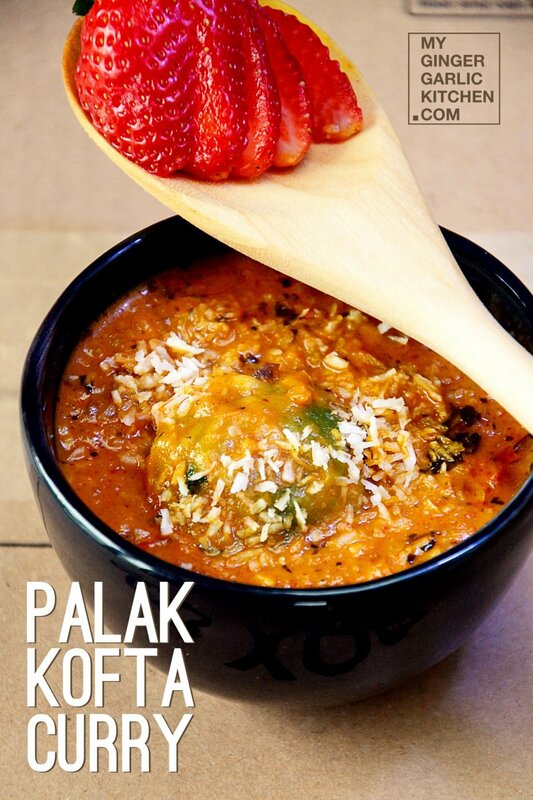 Palak Kofta curry is a 2-in-1 dish. First dish is palak/spinach Kofta, which is very basic recipe of kofta and can be used for other recipes where kofta is used. Another very popular recipe used with palak/spinach kofta is ‘Spinach Kofta Briyani’. The second dish is deliciously spicy tomato based gravy. When the koftas are ready, you make the gravy base for the curry and add koftas to the gravy. How to serve Palak (spinach) kofta curry? Palak (spinach) kofta curry tastes great when serving along with Indian breads such as naan, paratha, tandoori roti, or chapati. 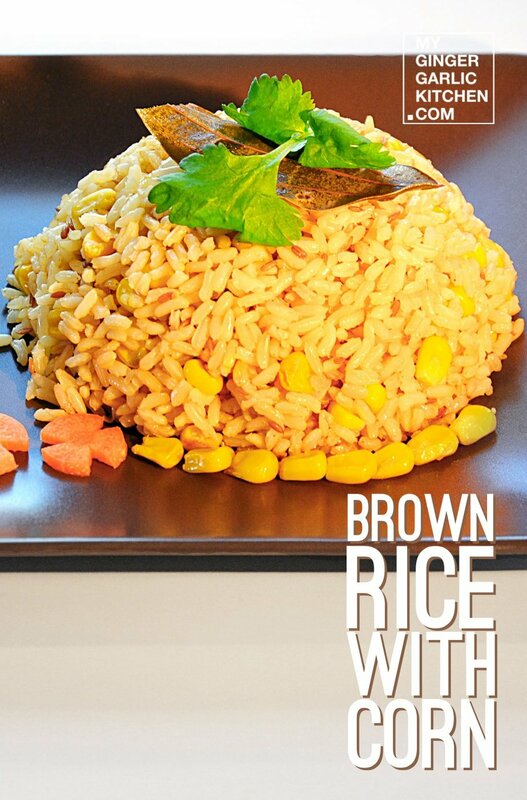 You can also have this with plain steamed rice or mildly flavoured pulav. Now, let’s learn to make Palak Kofta Curry | Spinach Kofta Curry in easy to understand quick steps. 2. Add all the kofta ingredients, except bread crumbs to the mixing bowl, and mix well. 3. Make 6-7 lemon sized balls, and roll them over bread crumbs. 4. In another bowl, mix all the batter ingredients, and make a smooth batter. 6. 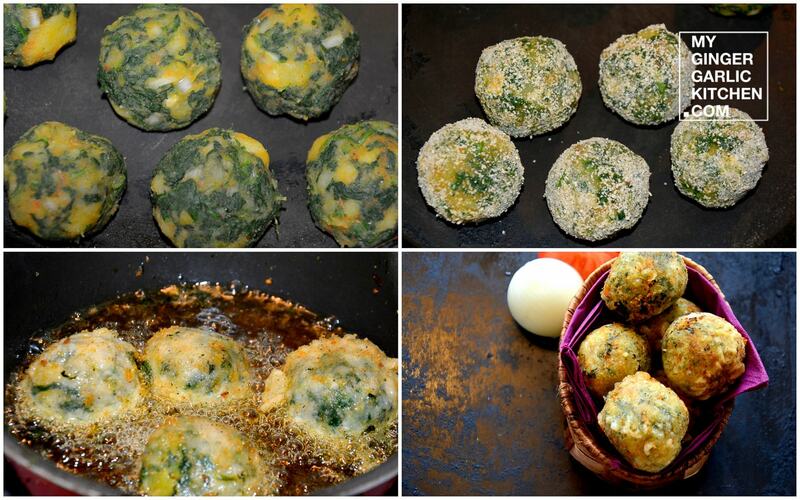 When the oil is hot, dip spinach balls into the batter and deep fry them. (You can also bake them at 200°c preheated oven for about 12-15 minutes or until golden and cooked through). 7. Drain onto an absorbent paper and keep aside. 8. Your koftas are ready. 1. Heat cooking oil in a saucepan over medium heat. 2. Add bay leaf and cumin seeds, and sauté for a few seconds. 3. Now add onion paste, ginger-garlic paste and saute for around 5 minutes, or till they change color. 4. Add chopped tomato and cook for 3 minutes. 5. Now, add the chili powder, coriander powder, turmeric powder, and salt. 6. Mix well and fry for 3-4 minutes. 7. Add coconut and cook for 2 minutes. 8. Now add the milk, sugar, chopped coriander leaves, kasuri methi, and garam masala powder. Mix well. 9. Cover the pan and boil the gravy for at least 10 to 15 minutes on medium heat. 10. Adjust the consistency according to your liking. Gravy is ready. 1. Add koftas to the hot gravy and turn off the heat. 2. 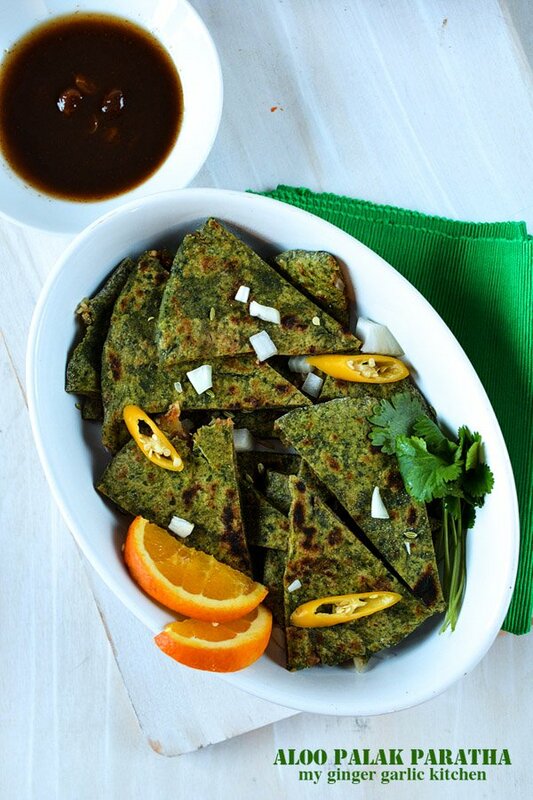 Serve spinach kofta curry hot with rice, naan, or any of your favorite breads. Palak Kofta (spinach kofta curry) is a delicious vegetarian curry recipe. Spinach koftas are deep-fried dumplings. The koftas are prepared with chopped spinach, potato, onion, and gram flour along with spices. Adding creamy gravy to these koftas make it the Spinach Kofta Curry. When these Koftas are mixed with creamy tomato gravy, it ranks them high in nutritional level. 3. Serve spinach kofta curry hot with rice, naan, or any of your favorite breads.